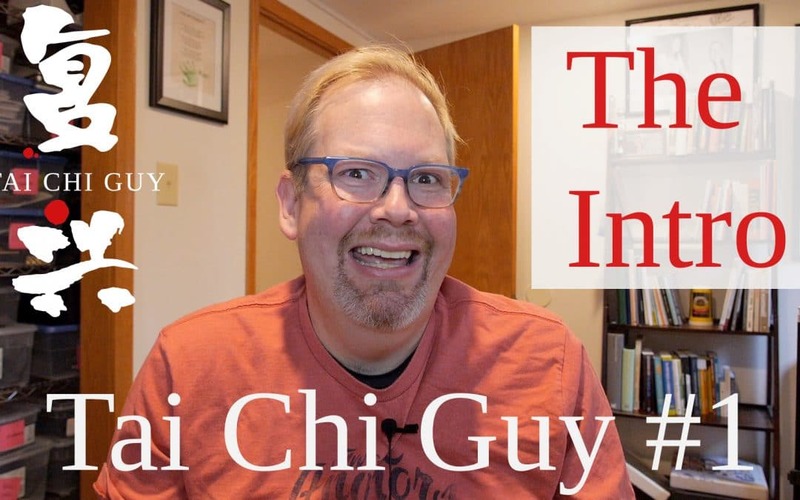 Hi, I’m Guy from Tai Chi Guy, thanks for checking out my website! This is my rookie post and it’s a summary of a video I released on YouTube that had to be shot numerous times from all the rookie mistakes. But, just like Tai Chi, learning is a big part of the journey. This post is here to give you a bit of background about who I am, what I do, and what the purpose of this site is. I’m Guy! Nice to meet you! I have been doing Tai Chi for a few years now. Something I won’t claim to be is a Tai Chi expert, grandmaster, sifu, or any other honorific you might come across in the Tai Chi world and martial arts world. I am not that person. I’ve been instructing now for a few years in southeastern Wisconsin where we run regular classes. I do private lessons, group lessons, and demonstrations. I’ve been doing it all. While I do teach and practice quite a bit I don’t pretend to be someone who has done this for years and years and years and just has it all down. In fact, anyone who thinks he has it all down in Tai Chi is probably wrong anyway! I used to be morbidly obese, I’m definitely still a work in progress! In this picture though you can see me about a month before I had weight loss surgery which completely changed my life. I lost over 150 pounds. 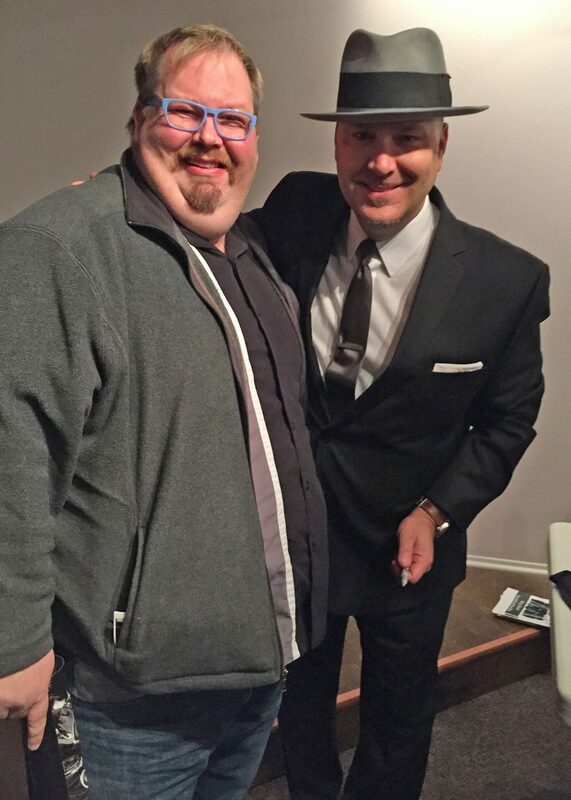 Guy Finley (Tai Chi Guy) with Scotty Morris, the lead singer of Big Bad Voodoo Daddy in February 2015. What happened after losing all that weight was that all the excuses I used to have on tap for not being active or doing things suddenly went away with it. Excuses like knee pain or hip pain or getting winded that I used to use when I was really overweight. I started looking for things to do and while I still enjoy doing the first things I found, there was always something that seemed to get in the way of doing them on a regular basis. Biking was something that I picked up right away. But, living in southeastern Wisconsin, our weather isn’t always conducive to biking and I would have an excuse not to do it. The weather was hampering physical activity that I wanted to do because it was outdoors based. Then I switched to the gym. The problems with going to the gym are myriad: is it open at the time I want, will it be crowded, will someone be on my machine, will someone be blaring some music I don’t like, will the air conditioning be turned on, the excuses go on and on. In fact, I think there isn’t a place more full of excuses not to go than the gym! What I did find at the gym though was a group Tai Chi class. Suddenly I had something that I could do any time, anywhere, and with no equipment at all. You might have to limit or change the kind of Tai Chi you’re doing but one of the most amazing things about it is you can really do it anywhere. Tai Chi can be done by just about anybody. Any size, shape, type, gender – take your pick! We get asked it all the time actually. “Can I do Tai Chi if I have XYZ?” and inevitably, no matter what the issue, chronic condition, or injury is, we can say yes. Tai Chi can appeal to a broad range of people. It can be adapted and you can choose what the focus of your Tai Chi is based on what your objectives are. Isn’t Tai Chi Just For Old People? There’s a huge misconception, and Tai Chi is a victim of its own success in this regard, that Tai Chi is just for older adults, seniors, or people with chronic conditions like osteoarthritis. Tai Chi has been proven to be highly beneficial to people with chronic conditions. The Center for Disease Control has declared it as effective for fall prevention. Arthritis foundations around the world, including the US Arthritis Foundation, have found Tai Chi to be an effective relief of pain for arthritis sufferers. Tai Chi is a fantastic practice for these patients and they make up a large portion of the classes we teach. The truth is there’s so much more to Tai Chi than just learning the form and the movements. I encourage in-person instruction for anyone that has access to it as I believe you’ll achieve the best results with the least investment of your time. The second key is the practice. This site and my materials are intended to give you some resources to help you with your Tai Chi journey. In the coming weeks and months, we’ll be looking at some of the core foundational principles of Tai Chi and how they can help you improve both your Tai Chi and your life. I wish I would have found Tai Chi much earlier than I did. In fact, when I was morbidly obese I know that it would have been something I could have done. I wouldn’t have been limited by the issues I was having with my health at the time. So my mission is to reach people like the “old me” who might be searching for something to help them too. I’m looking to get all the feels from folks wherever I can and that means being on all the things. I never know where you are going to be so that I can share with you! Maybe you have a long commute and you need a podcast, I’ve got one for you! Maybe you’re just killing some time on Insta, I’m there and Facebook too! I’m going to try to put things everywhere and this website is going to be the hub of it all. So I hope you’ll like, share, and subscribe me on all the things. One thing you will never hear from me is a ton of opinions like, “you must do this and this way.” I am all about you doing you! Something that works for me might not work for someone else so that’s why I don’t try to pretend that I have all the answers. Instead, I’d like to build a community here where I share what I’ve learned with people, you share with me and together we can find ways to help each other lead happier and healthier lives with the beauty that is Tai Chi.